​​Kyle Barella is the Managing Attorney at Barella Global’s Brussels and London offices, and an experienced business immigration lawyer. His practice is focused on EB-5 Immigrant Investor Visa matters and due diligence, business expansion visas, as well as other business based visa categories. Along with representing EB-5 investors and project developers, Kyle assist entrepreneurs and foreign businesses with their expansion into the US market via E-2 Treaty Investor Visas, E-1 Treaty Trader Visas, L-1 Expansion/Intracompany Transfer Visas, and H-1B Specialty Occupation Visas, as well as EB-1, EB-2, and EB-3 eligible foreign nationals (PERM). Kyle also represents clients attempting to seek entry into the United States who require a waiver of criminal or medical inadmissibility, or who have general law enforcement issues needing to be addressed at the consular level. In addition to assisting clients with their US visa matters, Kyle is an experienced corporate lawyer handling US company formations, drafting of US immigration business plans, contract drafting, and corporate governance. Prior to the founding of Barella Global, Kyle worked for a prominent US business immigration practice in London, UK and served as the principal attorney at Barella Law, P.C. in the Washington, DC Metro Area. He also previously worked as External General Counsel for the EB-5 Investment Advisory firm, Choice Investments. Kyle received his Juris Doctor (J.D.) degree from Ave Maria School of Law, and his B.A. in History from George Mason University. As an undergraduate student, Kyle studied Italian History and Language at John Cabot University in Rome, Italy. Kyle is licensed and regulated by the Virginia State Bar and is a member of the American Immigration Lawyers Association (AILA) and National Italian American Bar Association. Along with English, he is proficient in Italian. 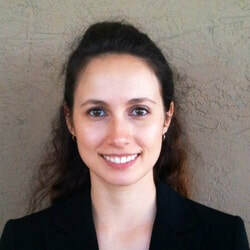 Cheyenne is an Of Counsel Immigration Attorney with Barella Global. She is a native of Queens, New York and a member of the Florida Bar. In addition to US immigration law, Cheyenne is a skilled criminal defense lawyer. She received her undergraduate degree from State University of New York (SUNY) Albany in Political Science and History. She received her Juris Doctor (J.D.) degree from Ave Maria School of Law in Naples, Florida. ​Her passion is to help those in her community through the court system with their legal issues and to know they are in good hands. She continues to achieve this goal by being a great advocate on behalf of her clients. Sal is an Of Counsel Immigration Attorney with Barella Global. He received his undergraduate degree from Fordham University in New York City and his Juris Doctor (J.D.) degree from Ave Maria School of Law in Naples, Florida. ​Sal is a skilled US business immigration lawyer, expert legal researcher, and a member of the New York State Bar. He has worked on a number of cases with multinational corporations engaged in high profile litigation. Sal is often called upon to provide expert advice on a variety of legal issues. In addition to English, Sal is fluent in Italian. Anna is Barella Global's Operations and Client Services Manager. Prior to Joining the Barella Global team Anna worked in the EB-5 industry as a registered investment advisor representative with Choice Investments, and a senior EB-5 investment coordinator for a Florida based EB-5 consulting firm. Anna received her Bachelor’s of Science in Business Administration from the University of Colorado. She has extensive experience in business, particularly in the securities industry related to the EB-5 Investor Visa. She has communicated with a network of contacts and potential investors around the world, with a focus on Russia and the CIS countries, as well as Western Europe. In addition to English, Anna speaks fluent Russian, an asset in today’s expanding global market.